Our 14 gauge wire clothes hangers are finished in white and are available in sizes 16 and 18 Inches wide. This particular product is 18 Inches wide. These wire hangers are extremely popular with Ironing Services, Laundries and Dry Cleaners but perform equally well in a domestic environment. Sold in boxes of 500. 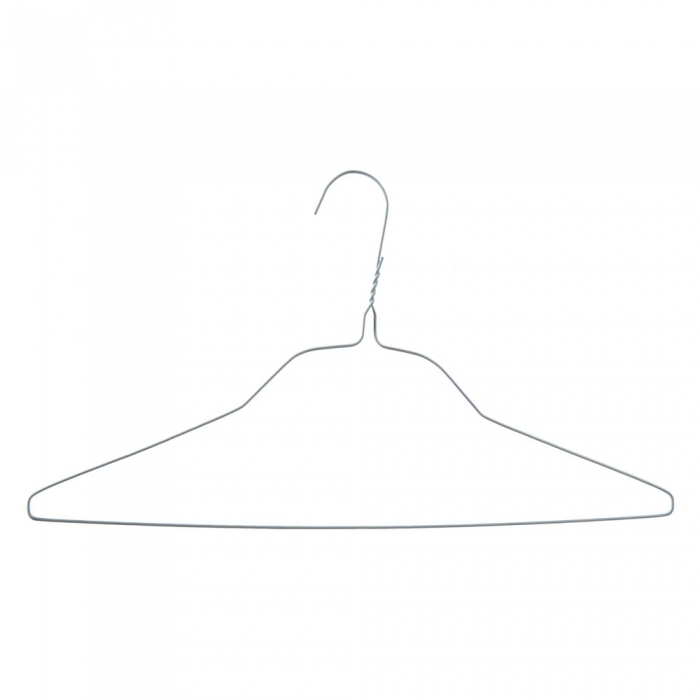 There are significant discounts on our wire clothes hangers if there is a large quantity.